SPECIAL INTRODUCTORY PRICE – 30% OFF FOR LIMITED TIME ONLY! When evil Puppeteer kidnaps souls of innocent children, you’re assigned your first mission as Brothers Grimm’s investigator – find a way to defeat the malefactor and bring rescue to all in need. Follow the trace of magical events to discover sorcerer’s blind spot. Use it to defeat him and bring home all who have been lost! Once upon a time, there was a man who went from town to town with songs and poetry, capturing the souls of children. From generation to generation, the tale was told. But every fairy tale has its true bitter beginning. Now a new evil has visited the town of Arbourshire, and children have been going missing. A mysterious puppet theatre seems to be at the centre of their disappearance. The town is in an uproar! A mob roams the streets and the Brothers Grimm have assigned to you the task of discovering the truth behind the Fairy Tale Mystery! Discover the truth behind the myth and save the children! 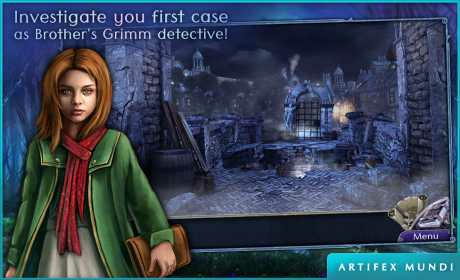 • Investigate your first case as Brothers Grimm detective! 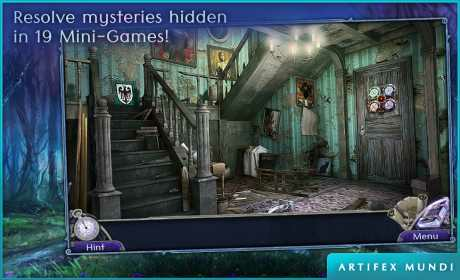 • Resolve mysteries hidden in 19 Mini-Games! 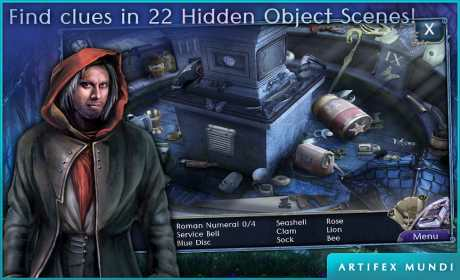 • Find clues in 22 Hidden Object Scenes! • Defeat the soul-stealing Puppeteer!